J. D. Hwang*, W. J. Yan, and J.H. 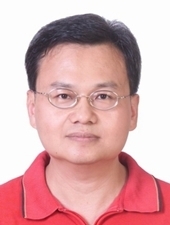 Chen, " Study of Growing Zinc Oxide on Polycrystalline Silicon/Glass Substrate Prepared by Aluminum-induced crystallization of Amorphous Silicon ," Mater. Sci. Semiconductor Process 26 , pp.677-680 (2014 October). 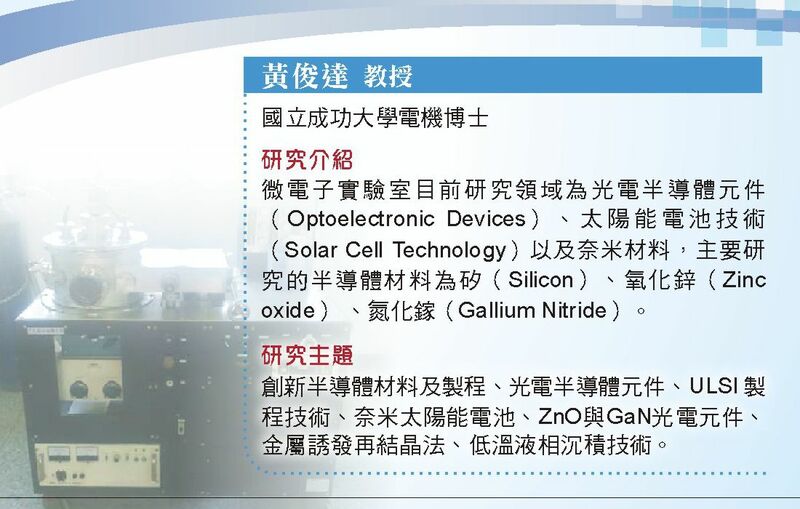 J. D. Hwang*, W. J. Yan, " Using aluminum-induced polycrystalline silicon to enhance ultraviolet to visible rejection ratio of ZnO/Si heterojunction photodetectors ," Solar Energy Materials and Solar Cells 134, pp.227-230(2015 January). J. D. Hwang*, D. H. Wu, and S. B. Hwang, " Inserting an i-ZnO layerto increase the performance of p-Si/n-ZnO heterojunction photodetectors, " Mater. Sci.Semiconductor Process 39, pp. 132-135 (2015 May). J. D. Hwang*, Y. D. Chan, and T. C. Chou, "Wavelength-Band-tuning photodiodes by using various metallic nanoparticles," Nanotechnology 26, pp. 465202:1-6 (2015 December). (SCI).